Shopping for eggs is an ethical minefield these days, with people taking liberties with organic and free-range labelling that doesn’t necessarily reflecting the true conditions the chooks are raised in. 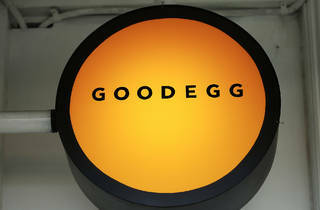 For the ethically-minded diner, it can make eating out difficult when you’re not sure about the providence of your eggs. 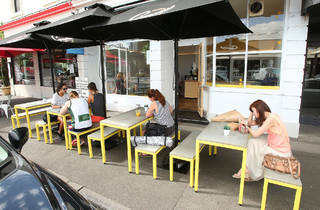 Nick Bevereux and Greg Bremner were well aware of this when they set about opening their ethical breakfast spot across the street from South Melbourne Market. 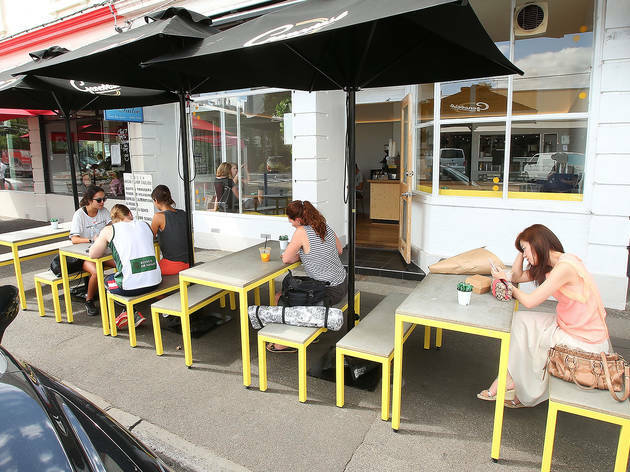 Co-owners Bevereux and Bremner initially got the ball rolling for the egg-based café after seeing how much people loved their bacon and egg roll special at their other venture together, Balaclava alleyway café Wall Two 80. 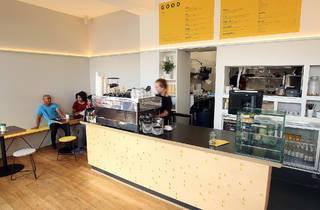 Sparsely decorated, the 30-seater South Melbourne venue features bright splashes of yellow in case you forget that you’re there for the eggs, and the outdoor seating is terrific on a warm day. 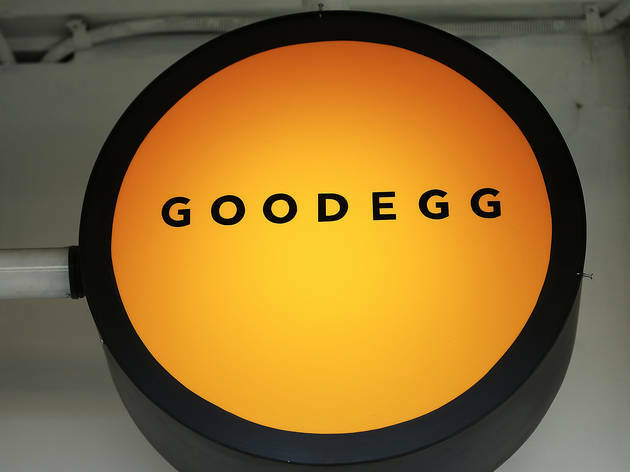 Good Eggs serve their golden-centered globes hard-boiled, scrambled, poached, over easy or sunny side up, and everything on the menu comes with an egg. 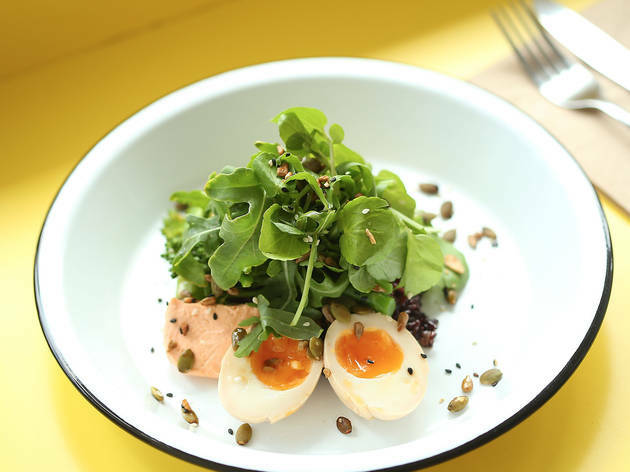 The eggs are from Yandoit family-run farm Real Eggs, where the hens are allowed to roam free and stocking density is less than eight chooks per hectare. 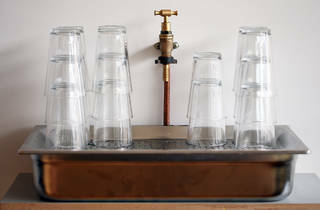 The birds are also not de-beaked, allowing them to peck for bugs and worms which make their yolks more nutrient dense. 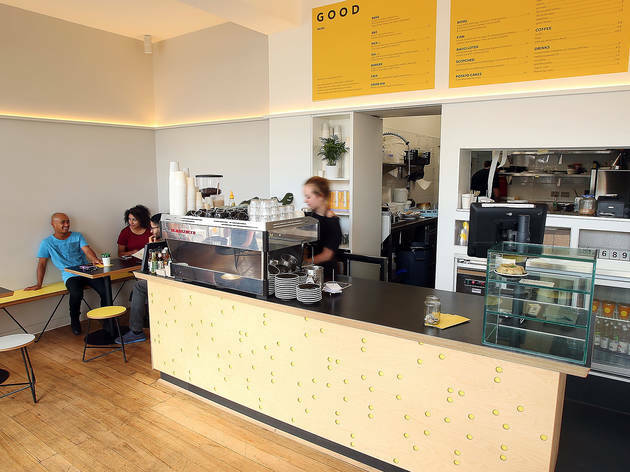 For diners at Good Egg, this means deep yellow yolks that are gloriously rich. 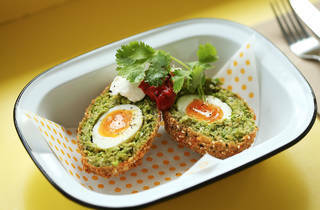 But to really appreciate the work of the Real Eggs farmers, we recommend the scotch egg. 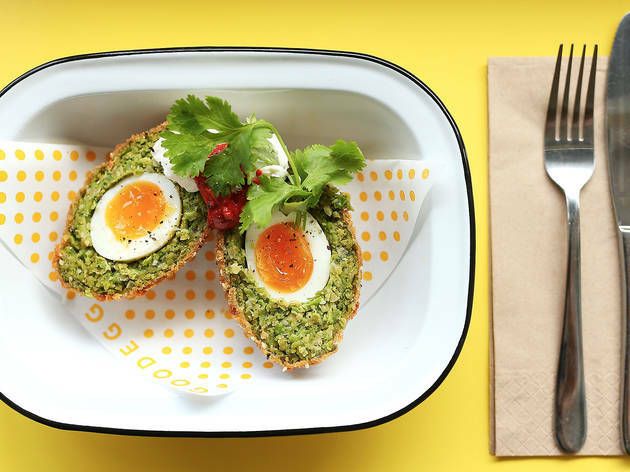 The café serves it the traditional way with the egg encased in a free-range pork and fennel mince and panko crumbs, but for a vegetarian-friendly version they wrap the egg in a vibrant green falafel. 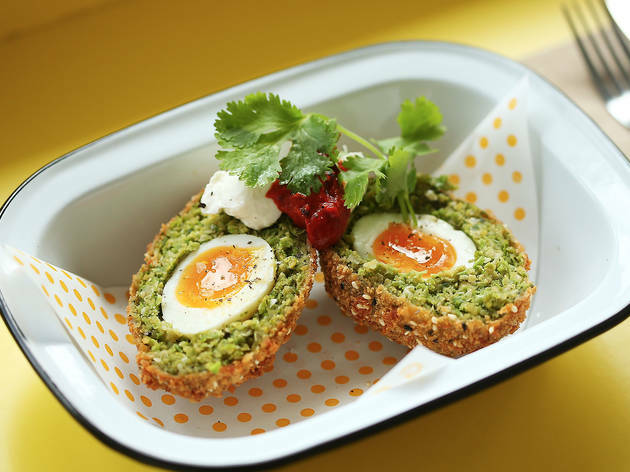 Served cut in half, the falafel scotch egg is presented with a dollop of yoghurt and harissa, which adds some tang to the nutty chickpea shell. 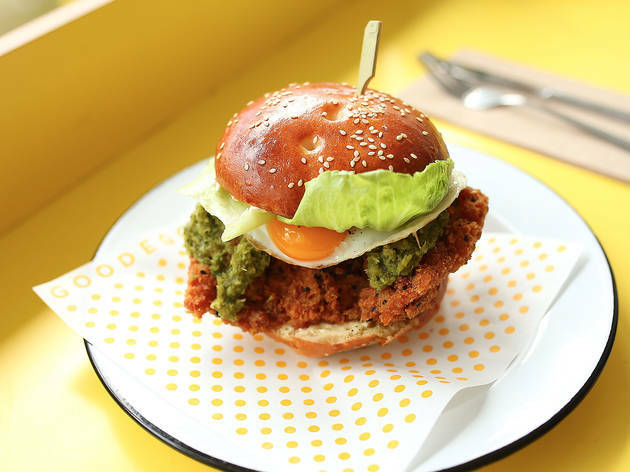 The entire menu at Good Eggs is under the $15 mark, though there are plenty of egg-friendly sides to encourage you to spend a bit more like the challah toast from St Kilda’s Woodfrog Bakery ($7) and nitrate-free, free range bacon from Western Plains Pork near Ballarat ($3.5). 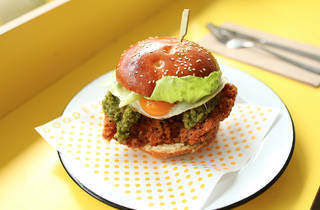 The fried chicken number is a delicious embodiment of the "chicken or the egg?" riddle. 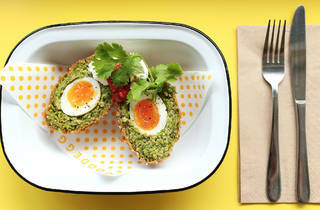 The black sesame-speckled batter is fried to a crisp (take care with that first bite, it's a scorcher), and is topped with a fresh salsa verde and an egg cooked over easy which splits to release a golden yolky sauce. If you're a stickler for tradition, a pile of crispy bacon and silky, pale yellow scrambled egg on a brioche bun with tomato sauce. 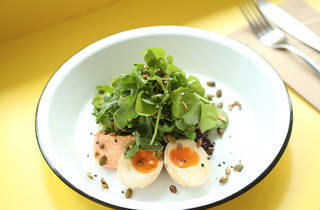 Bevereux and Bremner are living proof that eating out ethically don’t have to come with a high price-tag; all the meat they use (chicken, pork, beef) are sourced from sustainable or ethical farmers where possible, and the pair hopes to open more Good Egg venues in the future if the first one performs well. 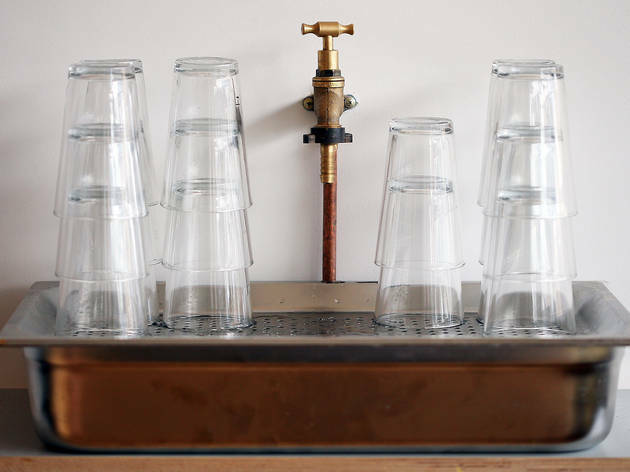 If that means more people can be sure that their morning poached eggs come from happy hens, we’re all for that.